Confession: I am a commitaphobe. I hate decisions – hate them. This is painfully clear as I am trying to decorate our apartment, and find myself wandering aimlessly through Ikea, completely incapable of deciding between the Iskönlund print and the Ishkdlhiangfdiünd print, which are of course two almost identical variations on plain white. Decorating a room means committing to one stylistic plan, and I just can’t do it. Which is why, almost four months into our marriage, we still have one box to unpack and lots of neutral colors that can go with anything and thus stave off the moment when I have to choose something for them to go with. Don’t even get me started on making large clothing purchases. Remember the boot buying fiasco (and here and here)? My method is buy it all, stare it for months, and then just before the season ends, return it and continue to languish. I applied this same philosophy to selecting a vase for our dresser. See those two below? They are now both full of weird stick things on top of our dresser. I shall just keep them there until a fit of commitment hits me, or until James gets home on Wednesday and makes me decide. But lately I have been convicted about being a commitaphobe. Not with little things, like vases, or boots, or pillows, but with a lifestyle of being noncommittal. I don’t think it’s just me. I think that my entire generation has learned to hold off on saying yes to anything, because something better could always come along. We don’t finalize weekend plans until the last minute, because we are holding out that a better invitation will come our way. We don’t respond to party rsvps until we see who else is going, because heaven forbid that we make a decision on our own. Thank you social media for perpetuating out ability to wait and watch and be paralyzed by what everyone else is doing with their lives. We don’t pick a career path, or even a major, because we want to keep all options open. We put off deciding on a job, a city, a spouse, a church – everything, because there could always be something better, something different, something more perfect out there. And so, forever prolonging having the option for everything, we end up being committed to nothing. Our generation will be the one known for spending their twenties accomplishing so little, despite being able to do so much. We just waste away the time waiting for that illusive Something that will finally motivate us to commit. I’ve been thinking about this a lot over the past six months as I have been contemplating marriage, which is one of those big commitment things that freak me out. (It still freaks both of us out if James and I think about FOREVER too much.) Because let’s face it – marriage limits my options. I won’t get to go back to France for months at a time and saunter around sketching things. I can’t just fly off to every gathering of friends or fun thing. James has given up just as much, because he has to filter things through the lens of can-I-still-do-this-and-provide-for-my-student-wife. By saying yes to this one wonderful thing, we have said no to many other things that are pretty great too. Which doesn’t mean that I don’t still miss those things, because I do, on a regular basis. I think part of our collective generational commitaphobia is that we think that we will reach a moment where we only want one thing, and that thing will make us totally happy. But that’s a lie. The more we live, the more we will love so many different things, and eventually we reach a point where we can’t have them all. And the sneaky little secret truth is that commitment, even though it significantly narrows options, also brings so much joy, so much peace, so much happiness. Be it a job, a person, a place to live, or even regular disciplines, commitment roots us and lets us grow. Yes, there are moments of longing for the freedom of an unattached, uncommitted person. But I don’t think we were designed to live in the selfishness of being such a person. I think we were meant to live in a constant cycle of committing ourselves to what matters, and then following through with those commitments even if it gets tiring, or frustrating, or boring – which it certainly will. How different would our culture look if we committed to things and then stuck with it? Now then. 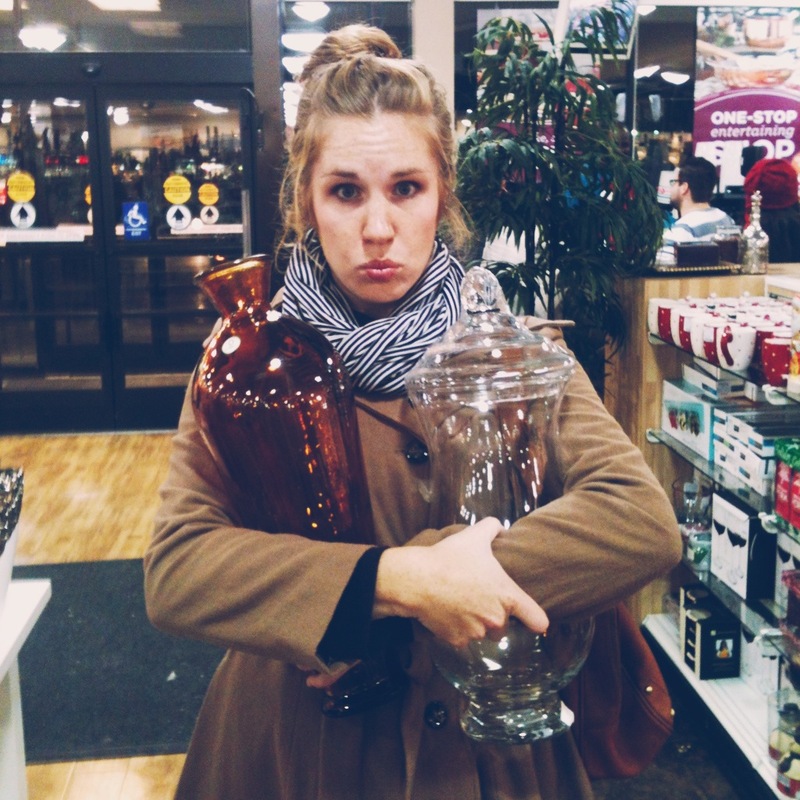 Back to deciding between my vases. 7 Responses to Commitaphobia is catching. Hannah, I love your thoughts on this. Beautiful. I believe this is at least partly Sylvia’s fault, as is evidenced in The Bell Jar. Also, true to form, I like both vases. Good luck with that. Too many figs on that fig tree!!!!! !